soloist change for Mar 4th concert! Widely recognized for his beautiful, dark, and round sound, Felipe Jimenez-Murillo is the recipient of a full-tuition scholarships from the Glenn Gould School of The Royal Conservatory in Toronto. He has been invited to play with the Toronto Symphony Orchestra several times during the current season. 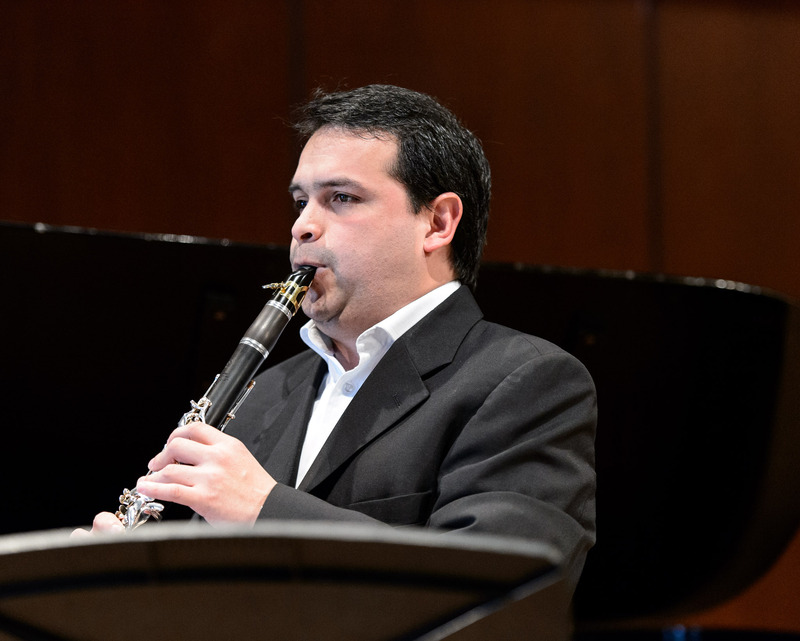 Felipe holds a bachelor degree in clarinet performance from the National University of Colombia, where he studied with Professor Robert Degenaro and Christopher Jepperson. During his time there, he won the school’s concerto competition and performed the Mozart clarinet concerto with their orchestra. In 2006, Felipe was a semifinalist in the first ‘’Henry Selmer Paris’’ Clarinet Competition in Colombia, as well as a semifinalist of the First National Clarinet Festival and Competition in 2010. In 2011, his clarinet quartet, Cadenza, won the ‘’Orquesta Filarmonica de Bogota’’ competition. Currently, he is studying with world-recognized professor, Joaquin Valdepenas, at The Glenn Gould School. Here, his duo, Vandikas-Jimenez, won 3rd place in the annual Chamber Competition. Felipe is the former principal clarinet of the Fundación Orquesta Sinfónica de Bogotá (FOSBO), and clarinet substitute with National Symphony of Colombia.